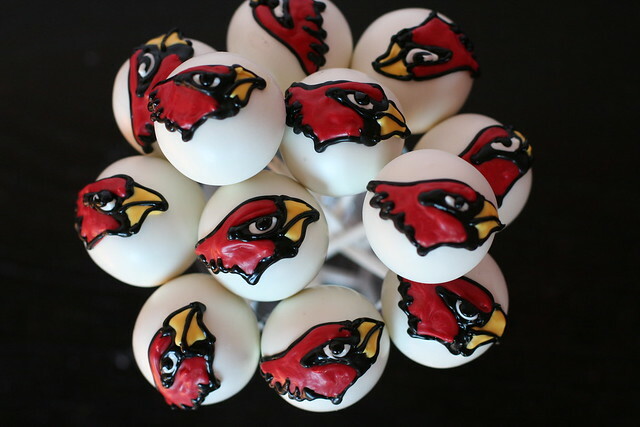 49ers Super Bowl Cake Pops! 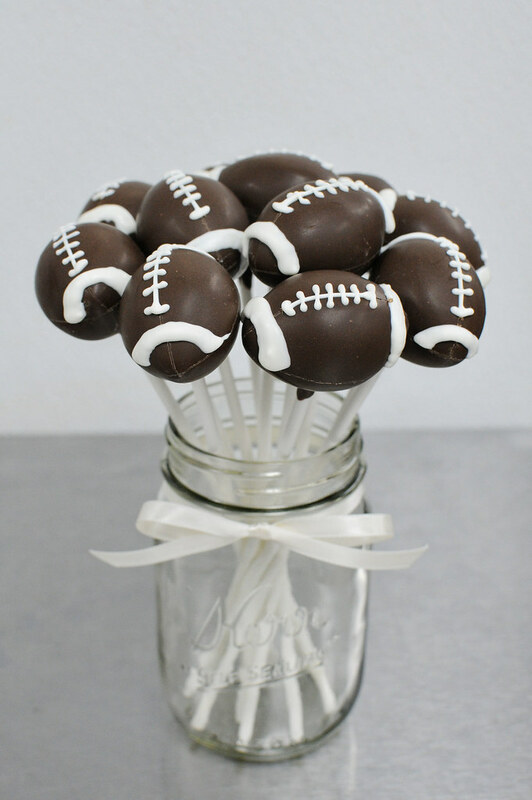 As a San Francisco based company, we find it’s very important to support all things local, especially our winning 49ers!!! 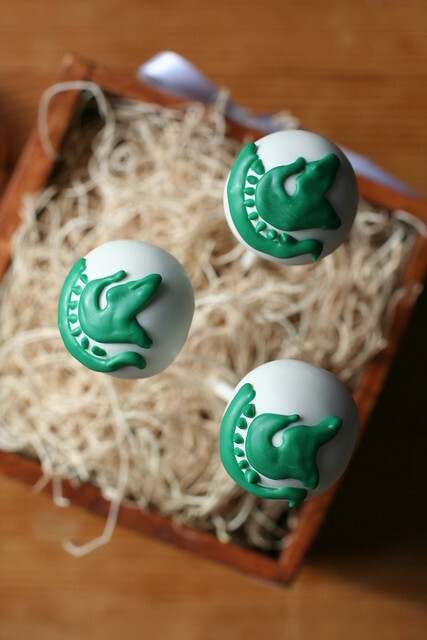 Win or lose Sunday, we’re all pretty excited to be going to the Super Bowl this year and just know that our local customers are going to be excited about our 49ers cake pops pictured below. 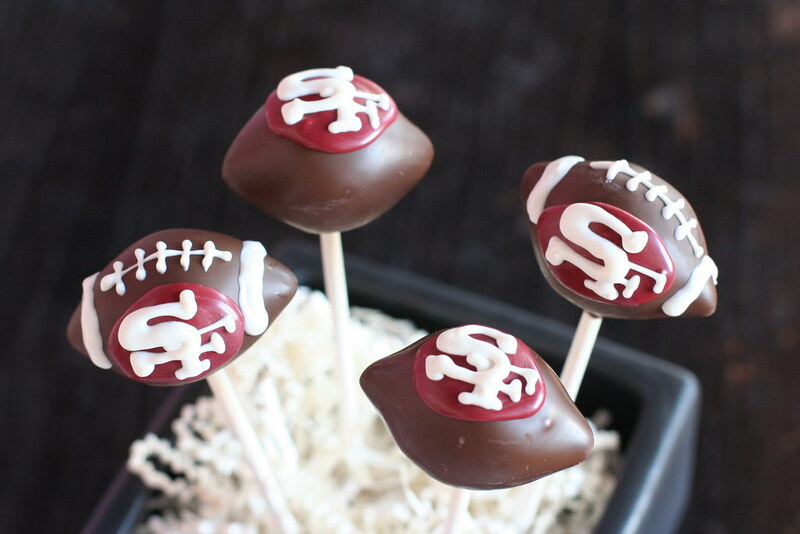 Email us today to place your order at [email protected] /* */ Go Niners!!! 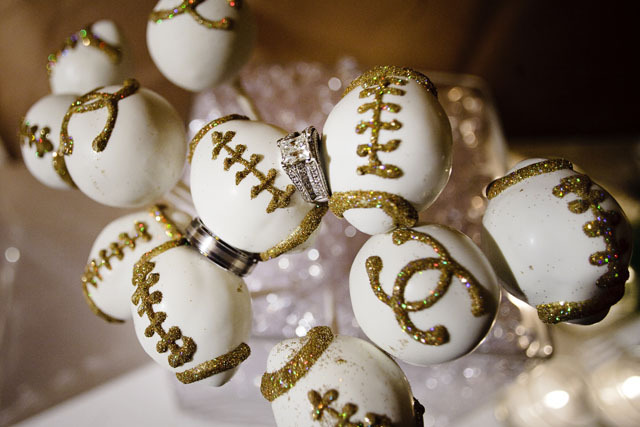 Have a wedding around the big game day? We can do that too! One week left of March Madness! 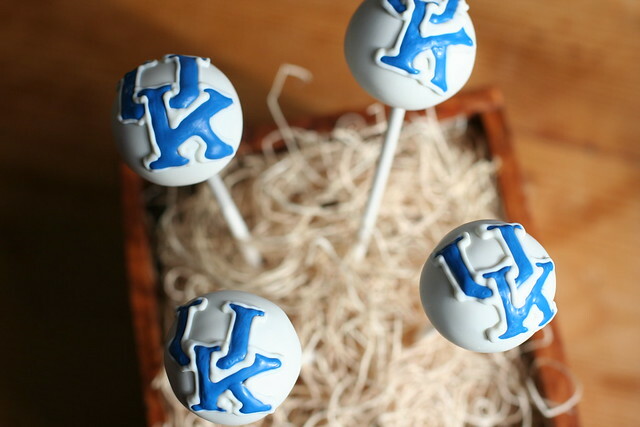 Celebrate your Final Four predictions via cake pop! Hello all! Check out these pictures from the CANVAS Cornerstone Event from this past week. 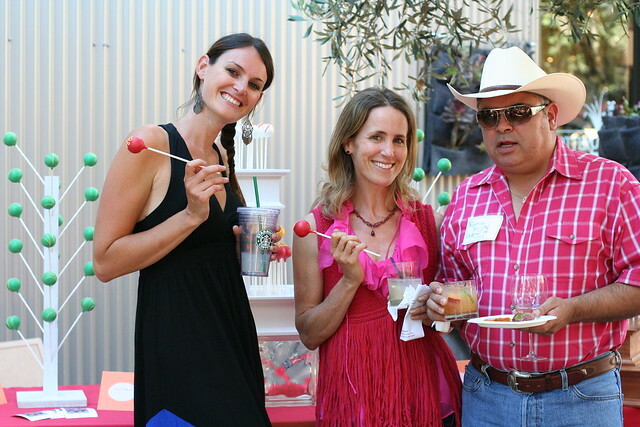 It was an amazing opportunity for various local vendors in wine country to showcase their talents and fabulous products. The theme was “South American Fiesta” so we used bold bright colors. 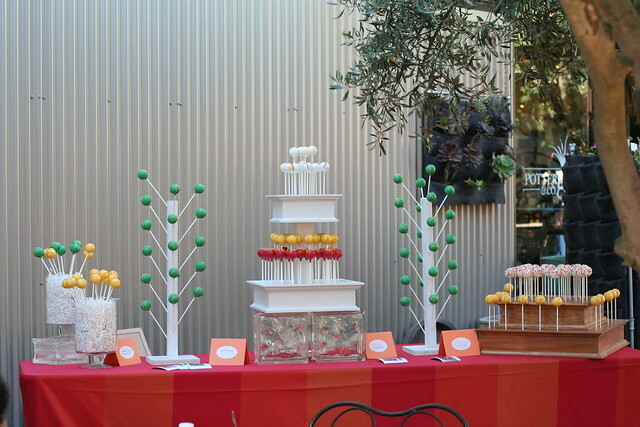 We also had the opportunity to introduce our new white stand (which is actually 3 tiers tall), but for variety, we just used 2 tiers here. 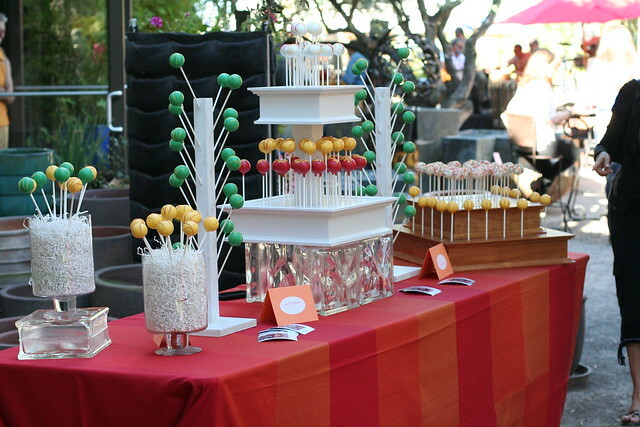 Also, included are our cake pop poles (available for rental) and our natural wood stand. Hello All! 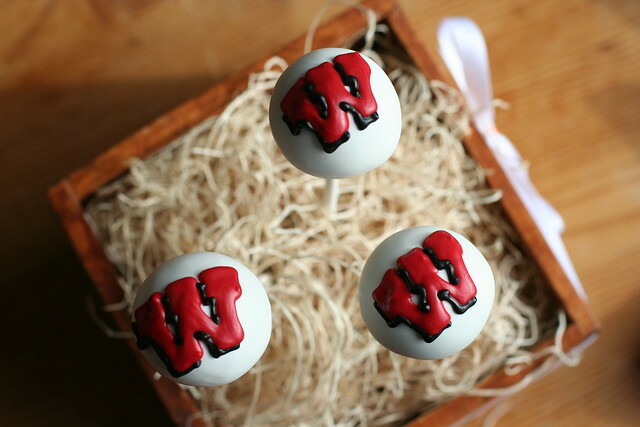 Check out these awesome sports-themed after wedding party Cake Pops! 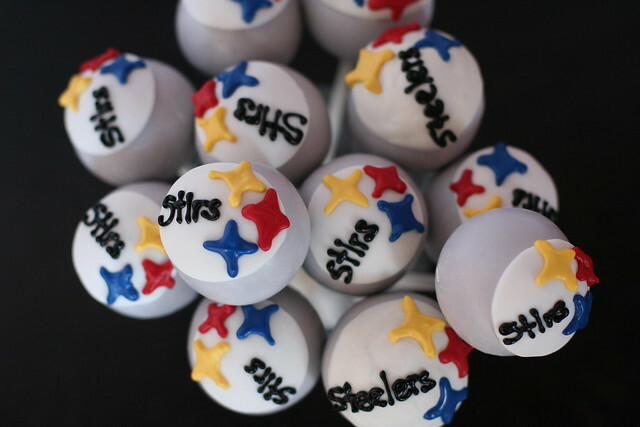 For the event, we made specially themed Cardinals and Steelers Cake Pops! 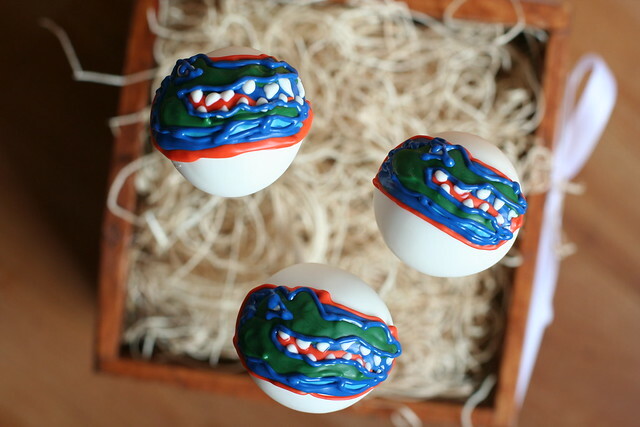 Look how they turned out! 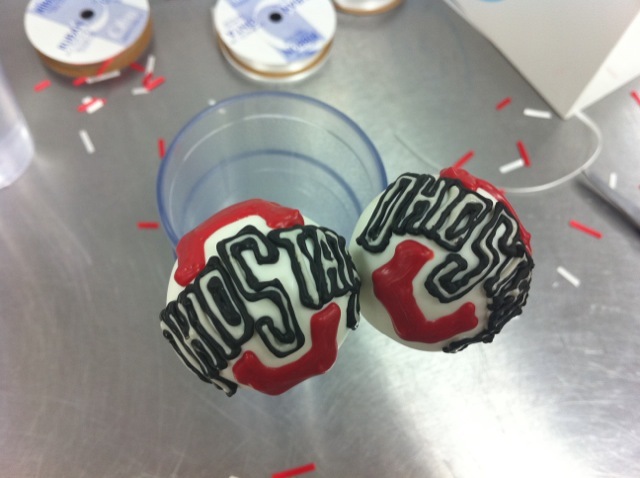 We made Ohio State logo and buckeye cakepops this week for someone’s birthday. 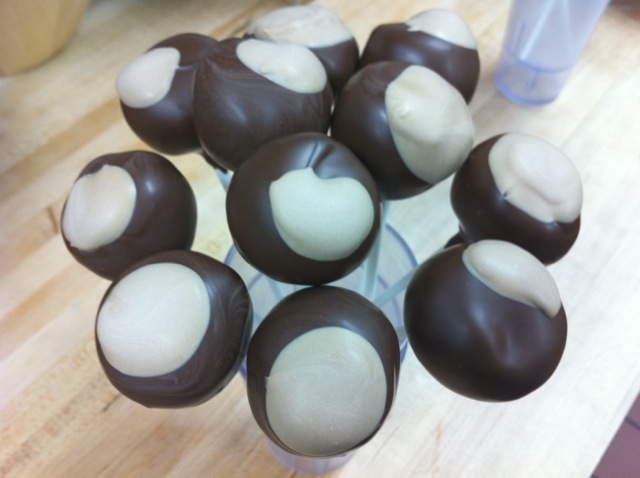 We heard he was a big fan… go Buckeyes!